We limit use of the Site to adults who are at least 13 years of age and we do not knowingly collect any information from persons under the age of 13. If we discover that a submission is by a person under the age of 13, we will remove the material. In order to operate the Site, accept and post your image and/or video submissions, and fulfill product orders you may make, and allow you to post comments about images and videos on the Site, we collect information including personal contact information and demographic information. Contact information can be used to contact you directly without going through the Site and may include your full name, postal address, phone number, or e-mail address. We do not store credit card or other financial information. Credit Card transactions are transmitted directly through a third party payment service. Demographic information is information that you submit or we collect that is neither personal nor financial; this may include but is not limited to your zip code, postal code, or city of residence. 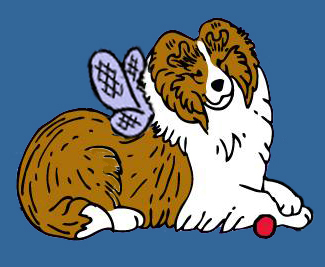 The Sheltie Nation Site may contain links to other websites. These other sites maintain their own policies regarding cookies and the collection and use of personal information.